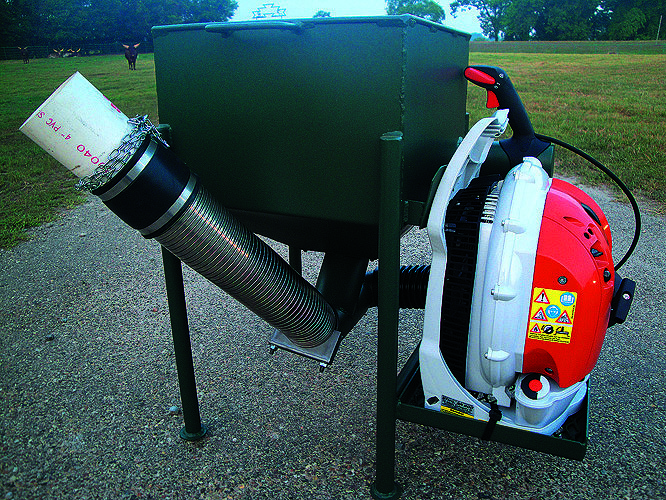 Equipped with remote control “Eliminator” road feeder and easily tows with ATV. 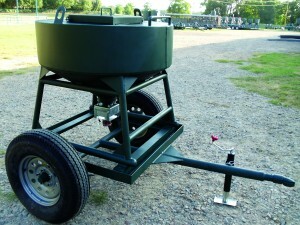 The Outback Road Feeder comes in a 100 or 200 lb. 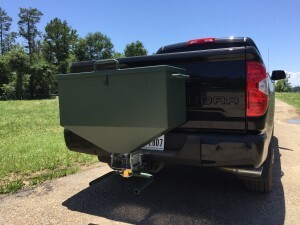 capacity hopper with wired remote for use from inside your vehicle. Built with the best high quality materials and craftsmanship.